Year by year I've always offered a Reformation Day this or that, and this year will be no different — except that I'll be very happily busy preparing (with my dear wife) for Copperfield Bible Church's first-ever annual Reformation Day celebration. We're looking forward to having a joyous time of fellowship and learning. Will Dr. Luther be appearing? Oh, jah! In the meanwhile, you might check out last Sunday's sermon. I had the joy of showing how Romans 1:16-17 (particularly the latter) has the seedbed of the Five Solas, and proclaiming the difference those truths make. It's called Five "Alones" That Changed Everything. Christians' opinions differ, of course, and I will offer you mine as worth exactly every penny you're paying for it: this date is too golden an opportunity to squander, with such a rich theme to celebrate. Do that. Let the world have its party, since that's the best they've got — but you hold up and hold out the "something (infinitely) better" you've got. For those interested, the whole sunday morning lesson this series is based on can be found here. Our passage 1 Thes 2:7-12. It’s a beautiful picture of Paul’s care for these people, and the purpose of his care for them – But it is an ordinary picture: one which fits into everyday life because it is Paul’s intention that this faith these people have be a faith for everyday life. So what is the ordinary life of the church? There has been a lot said about pastoral care in the history of the sunday school lessons, and I’m not sure I have anything new to add to that archive. From my perspective, since most of us will never be pastors, thinking about that duty of pastoral care is at best a way for us to find things to pray about for the sake of our pastors. The job they have taken on is, as Paul says, labor and toil, working night and day. But what Paul says here about the pastoral effort is interesting in its own right. It borrows from an Old Testament theme, which is the role of a mother and a father in the right upbringing, the right education and formation of a child into a responsible adult. So rather than belabor the point here that our pastoral staff ought to love us as a mother loves us, or as a father loves us, or both since Paul says that’s what he did, let’s put it this on our prayer list. Let God bless our pastors with this kind of love for the people in their care at this church because this is a tall order. It’s a lot to ask it of them, but I think we are all better served, rather than reminding them that we are needy people, to instead pray for them for the sake of God giving them the depth and strength to do that for us -- when it is hard enough to do that for one’s own family every day. In short, while Paul devoted himself to loving them as a pastor, as a father and a mother, these were people who took Paul’s teaching to heart. They lived as if what Paul was teaching them was true, and more important than the priorities they had before they met him. Paul could love them because they were more than just good students: they demonstrated the love which they received. The PyroManiacs devote some space each weekend to highlights from the lifetime of works from the Prince of Preachers, Charles Haddon Spurgeon. The following excerpt is from "An Address For Sad Times," from the book "Only A Prayer Meeting!" pages 144-145. "Once, ministers were esteemed for soundness, unction, and experience; but, now, men crave after popularity and cleverness." All around us there is growing up in tangled masses the ill weed of "modern thought," which is nothing better than an infidelity too cowardly to wear its proper name. There are preachers, in Christian pulpits, who deny the authenticity of various Books of the Bible, and reject plenary inspiration altogether. There is not a doctrine of the Gospel which is not denied by some "thinker" or other, and even the existence of a personal God is by the more advanced regarded as a moot point; yet the churches bear with them, and allow them to pollute the pulpits once occupied by godly preachers of Christ. After having denied the faith, and plunged their daggers into the heart of vital doctrines as best they can, they still claim to be ministers of the Gospel, and ask to be received into union on the ground of some peculiar inward virtue which exists in them apart from all doctrinal belief. Men, who might justly be prosecuted for obtaining property under false pretences by violating the trust-deeds of our churches, may well wish to abolish creeds and articles of faith, because these are perpetual witnesses against their knavery. I would not care what became of the pelf if the churches were saved from error. I see this leaven of unbelief working in all directions, and many are tainted with it, in one point or another; it eateth like a cancer into the very soul of the churches. God deliver us from it! It is hard to know what to do, for no one wishes to suspect his fellow, and yet a pest seems to be in the very air, so that it penetrates into the best guarded chambers. We hear of this man and then of another broaching strange notions, and those who were thought to be pillars suddenly become rolling stones. Who will go next? And what will happen next? In the midst of this confusion, our heart is apt to be overwhelmed within us. Is there not a cause? It is not our household, it is not our estate, it is not our bodily health which is in danger, or we would bow in silence, and bear it; but it is the household of God, it is the estate and Kingdom of Christ, it is the Church of God on earth, which is thus suffering; and well may those, who love the Lord, and His Christ, and His truth, tremble for the ark, and feel a holy jealousy burning within them. At such a time, the prayer of David is priceless, "Lead me to the rock that is higher than I." Decades back, I used to ask groups I came to teach whether anyone could define the word "disciple." As a rule, folks were fairly confident, and completely wrong. They'd never been taught about it. Probably the most common answer was "follower." After that came "apostle," or "disciplined person." None of which is true. The Greek word translated disciple is perfectly straightforward and uncontroversial. It is μαθητὴς (mathētēs), and it means "student, pupil, learner." What, you're waiting for some deeply-spiritual, mystical sense? There isn't one. And I think that in itself is really terribly important. The way I've seen many folks approach Christianity in general, and church-selection and church-involvement in particular, has convinced me that they have no clue about this element. They do not see themselves as disciples, which is to say they do not see themselves as students, learners, pupils of Jesus Christ. For instance, I taught one group of older (than I) folks back in the seventies. The focus was the book of Colossians. I introduced it, and I asked them in the intervening week to read the book. It's four chapters long, and reading it takes all of ten minutes or so. The next week I asked (casually, friendly) for a show of hands as to who in the class in this long-standing Baptist church had read Colossians in the intervening week. Not a single hand went up. Smiling, I went on with the lessons. No one was caned or assigned sentences. Yet after the class one brother took me aside and rebuked me. He felt I had been out of line. "You made me feel like I was back in school!" he complained, clearly expecting that I would see that as a bad thing that I would want to avoid at all costs. Because we surely don't want anything like that, right? Nothing where someone teaches, and someone else is expected to learn. Which is to say, we don't want anything like discipling going on. Christians simply do not see themselves as students who are expected (by God!) constantly to learn and grow, and never to graduate. So when it comes to picking a church, the thought of selecting a church which above will (hel-lo?) teach them the Word of God simply is not a priority, or perhaps not even a factor. When they evaluate a church, its music or furnishings or programs or a thousand other elements are central, but its effectiveness in teaching them God's Word is not. But once they have selected a Bible-teaching church, even then this concept seems to fall by the wayside. They sit and stand, sing and pray; they watch the pastor. They go home, they have lunch. They've already forgotten what happened. So how were they disciples? Surely, if they seriously saw themselves as disciples, they would have taken some steps to make sure that the service contributed to their growth as disciples? Perhaps someone is thinking, "I don't see the Bible making the big deal about this that you're making." No? How about this? "Make disciples" (mathēteusate) is the lone imperative verb in the Greek text, so it is the anchor-thought. The rest supports this activity. The presence of Jesus is guaranteed to the church as it engages in this activity — making disciples, pupils, students, learners. "Oh, huh," you say. "I always thought that was about evangelism." Evangelism is included, but it's just the introduction to the whole enchilada, the discipleship enchilada. The path to freedom lies in knowing the truth. The path to knowing the truth lies in being a genuine disciple/student. The path to being a genuine student is in continuing in Jesus' word. Spread the word. Make it loud, plain, and inescapable: if you're a real Christian, you're a student. Your priority is to get taught, and to learn. It is to learn the words of God. And if you're not being a student, you're not being a Christian. And it should affect how we approach church selection, organization, and involvement. 1 Thessalonians winds up being a somewhat-ordinary letter, which is where we trick ourselves into not listening to it very well. It’s “ordinary,” and what we want from our life of faith is a release from the ordinary – something that somehow lets us step up out of the ordinary into the extraordinary. I mean: we have faith in God, who is by definition extra-ordinary. We have confidence and faith in Jesus, whom we call “Christ” – a word which means he’s not just another fellow: he’s God’s chosen savior of the world. He’s not ordinary. And we have the promise of eternal life because somehow God has paid the price for our sins and changed us from children of wrath to children of promise – children in his own household rather than orphans in a world which doesn’t care about us. That’s extra-ordinary, and not ordinary. But look: “ordinary” does not just mean “commonplace” or “uninteresting”. It also means “normal” or “customary”. 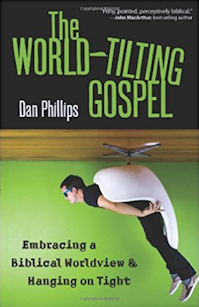 It means, “the way things usually work.” This is a book about how things usually ought to work out in a local church, and in the lives of people who have heard the Gospel and received the Christian faith. Both letters to Thessalonica have been referred to as “the escatological epistles,” perhaps because of their treatment of end-times issues. However, in light of their more extensive focus upon the church, they would better be categorized as “the church epistles.” Five major themes are woven together in 1 Thes: (1) History, as correlated to Acts, (2) Church life (3) Pastoral Concerns for the local church (4) end times as the church’s hope, and (5) the need for missions and the proclamation of the Gospel. This is a book about the way in which the local church usually ought to work out its life. It’s the way the church ought to live, and find correction to the way it ought to live, because while its cause and creation is not an ordinary thing, it is meant to be God’s ordinary means for delivering His gospel to every tribe, tongue and nation. Our passage for this series is in 1 Thes 2:7-12. So, according to this passage, what is the ordinary life of the church? From a preacher's perspective, it's our happy task before God to craft and deliver a sermon that's worth listening to, attending to, learning from, and retaining. Any regular reader of this blog probably attends a church whose pastor takes this as a solemn, joyous, exhilarating, devastating, God-given duty. On that assumption, then, how can you gain the most value from the sermon? I'll tailor my remarks specifically to profiting from an expository sermon in a book-study series. Some of these suggestions will apply to any Biblical sermon, but I have in mind a series that progresses through a book of the Bible. Pray in advance. Pray for your preacher, because sermon preparation is both a science and a spiritual exercise. It's his part to "consider," but he needs the Lord to "give understanding" (2 Tim. 2:7). Pray for yourself, because you need the work of the Spirit to open your eyes to your riches in Christ (Eph. 1:16-19). Pray for others who come, including unbelievers, that the Lord might open their hearts to respond to the truths of God which your pastor will preach (Acts 16:14). Read the passage in advance, asking yourself questions, or imaging the questions you might be asked. Priming the pump is a terrific way to learn the most. It's always both humbling and a blessing to have read a passage, and then to see it anew when a brother brings out valid insights that had never occurred to us. Absolutely do pick up the outline if there is one, and absolutely do use it. My mother-in-law is right: the faintest ink is better than the best memory. And even if you don't keep the outline, the more of your senses you involve in engaging in what you hear, the better you'll listen, the more you'll learn, and the more you'll retain. If there is no outline, try to make one of your own. Most preachers have one that they follow. The better ones (in my opinion) make it plain with signals such as "I see three things in this text, and the first is..." See if you can't pick it out. Pray as your pastor preaches, for him, for yourself, and for all present. See #1 above. Your encounter with the Word of God -- and others' as well -- is a moment of crisis, a pivotal moment (Heb. 4:12-13). Eternity hangs on it. Don't leave it unprayed-over. Attempt to look up every verse. Remember what you are, what your goal is. You are a disciple of Christ, a pupil for life; and it is your job to stay in and retain His Word (Matt. 28:18-20; Jn. 8:31-32). Don't be the sort of person who complains that he can't find anything in the Bible, and then sits and watches when your pastor tries to show you where it is in the Bible. And if you don't do it because you don't know the books of the Bible... well, friend, what do you think I'm going to say? After the sermon, read the passage yourself without your notes. See what now leaps out, and what you remember. This is an absolutely splendid way of making what you've learned your own, so that you have it, you own it, you can use it for worship and for life, and you will have it to give to others (cf. 2 Cor. 1:4; Heb. 3:13; 10:25). Then look at the notes, to reinforce. Tell someone what you learned. Take the seed your pastor sowed, and multiply it. Invite the folks you tell to come hear the next one for themselves. 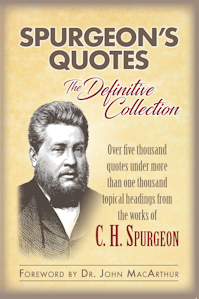 UPDATE: re-reading this, an apposite word from Spurgeon — and, really, isn't there always an apposite word from Spurgeon? — came to mind. I've now shared it over at my place. The PyroManiacs devote some space each weekend to highlights from the lifetime of works from the Prince of Preachers, Charles Haddon Spurgeon. The following excerpt is from The Metropolitan Tabernacle Pulpit, volume 35, sermon number 2,096, "The Marriage of the Lamb." I shall not attempt elaborate distinctions; but as far as you and I were concerned, the Lord Jesus betrothed each one of us unto himself in righteousness, when first we believed on him. Then he took us to be his, and gave himself to be ours, so that we could sing—"My beloved is mine, and I am his." This was the essence of the marriage. Paul, in the Epistle to the Ephesians, represents our Lord as already married to the church. This may be illustrated by the Oriental custom, by which, when the bride is betrothed, all the sanctities of marriage are involved in those espousals; but yet there may be a considerable interval before the bride is taken to her husband’s house. She dwells with her former household, and has not yet forgotten her kindred and her father’s house, though still she is espoused in truth and righteousness. Afterwards, she is brought home on an appointed day, the day which we should call the actual marriage; but yet the betrothal is, to Orientals, of the very essence of the marriage. Well, then, you and I are betrothed to our Lord today, and he is joined to us by inseparable bonds. He does not wish to part with us, nor could we part from him. He is the delight of our souls, and he rejoices over us with singing. Rejoice that he has chosen you and called you, and through the betrothal look forward to the marriage. Feel even now, that though in the world, you are not of it: your destiny does not lie here among these frivolous sons of men. Our home is henceforth on high. The marriage day indicates the perfecting of the body of the church. I have already told you that the church will then be completed, and it is not so now. Adam lay asleep, and the Lord took out of his side a rib, and fashioned thereof a help-meet for him: Adam saw her not when she was in the forming, but he opened his eyes, and before him was the perfect form of his help-meet. Beloved, the true church is now in the forming, and is therefore not visible. There are many churches; but as to the one church of Christ, we see it neither here nor there. We speak of the visible church; but the term is not correct. The thing which we see is a mixture of believers and mere pretenders to faith. The church which is affianced unto the heavenly Bridegroom is not visible as yet; for she is in the process of formation. The Lord will not allow such simpletons as we are to see his half-finished work. But the day will come when he shall have completed his new creation, and then will he bring her forth whom he has made for the second Adam, to be his delight to all eternity. The church is not perfected as yet. We read of that part of it which is in heaven, that "They without us should not be made perfect." Unless you and I get there, if we are true believers, there cannot be a perfect church in glory. The music of the heavenly harmonies as yet lacks certain voices. Some of its needful notes are too bass for those already, and others are too high for them, till the singers come who are ordained to give the choir its fullest range. At the Crystal Palace you have seen the singers come trooping in. The conductor is all anxiety if they seem to linger. Still, some are away. The time is nearly up, and you see seats up there on the right, and a vacant block down there on the left. Even so with the heavenly choir: they are streaming in: the orchestra is filling up, but yet there is room, and yet there is demand for other voices to complete the heavenly harmony. Beloved, in the day of the marriage of the Lamb, the chosen shall all be there—the great and the small—even all the believers who are wrestling hard this day with sins and doubts and fears. Every living member of the living church shall be there to be married to the Lamb. 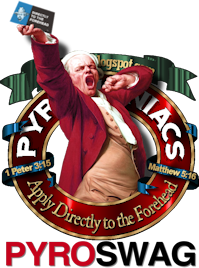 Every Friday, to commemorate the stellar contributions to internet apologetics and punditry made by our founder and benefactor, Phil Johnson, the unpaid and overworked staff at TeamPyro is posting a "best of Phil" post to give your weekend that necessary kick. This excerpt is from this blog back in January 2008. Phil discusses the doctrine of Original Sin. It seems the doctrines that pertain to human sin are generally some of the hardest doctrines for people to understand and embraceparticularly the doctrines of original sin and universal depravity. Of all the doctrines taught in Scripture about the nature of humanity, the one doctrine that comes under attack more than any other is the Bible's teaching that all have sinned and fall short of the glory of God, that we inherited a sinful nature from Adam, and that it means we are completely helpless to redeem ourselves from the condemnation of God. To paraphrase Mrs. Fletcher, we're fallen, and we can't get up. Those ideas run counter to every other religion man has ever devised. People want to believe they are basically good, that they can be good enough to please God, and that if they just set their hearts and minds to do good, they can redeem themselves from their own sin. People don't want to believe that Adam's sin put the whole human race in a spiritually hopeless state. They don't want to admit that they are sinful to the very core of their beings. They don't want to admit that their most basic desires, and even the private imaginations of their hearts are utterly and hopelessly sinful, and they are powerless to change themselves. By any standard, these are hard truths. And yet every bit of evidence we examine confirms all these things. Scripture clearly teaches that there is none that doeth good. There is none that seeketh after God. No, not one. Human experience confirms this. G. K. Chesterton once wrote that the doctrine of original sin is the easiest of all the doctrines of Scripture to prove. Evidence of human depravity is all around us. No one in all our acquaintance is sin-free. Proof that the whole human race is fallen is everywhere, in the daily newspapers, on the evening news, and clearly evident in every life we encounter. Most of all, if we're honest with ourselves, the most persuasive proof that the human race is hopelessly depraved is inside our own hearts. "God works through means," we say. And it's true. In fact, He usually works through means. That is to say, God uses some portion of His creation to affect some other portion of His creation. This is maybe better understood if we think of the one occasion in which God used no means: the creation of the universe. Unless you wish to press the thought that God used His word (Ps. 33:6), God did not create the universe by means of anything in the universe. One timeless moment; the triune God alone; the next (first!) moment, a word, and bam! — the universe. Otherwise, He uses means. Adam must feed himself, must build a shelter. Eve must make clothes. Noah has to cut down a lot of trees. And so on. Now, sometimes the means are plain and proportionate. Right now, I'm tapping keys, and letters are appearing on the screen. No letter appears without a tap; a tap produces a letter. Or a space. Means, simple and straightforward. What obvious causal relationship was there between Moses lifting his staff, and that great body of water cleaving in two? None. Zero. If he'd poked it in the sea, he'd have displaced a bit of water. But holding it out? No relationship whatever. After all, this is a walking stick. It isn't some wand from Hogwarts. Yet, would the waters have parted, had Moses not stretched out the staff? No. So though there was no direct causal relationship between Action A and Action B, the former was necessary for the latter. Why? Because God ordained it to be so. 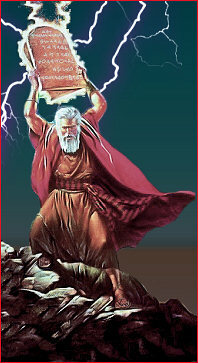 Because God ordained to use the means of Moses raising his staff. When Moses did what God told him to do, God accomplished what Moses was unable to effect. Now to the abrupt payoff. Tell me how this relates to Romans 10:8-17, and what effect this truth should have on you and me. I have a confession to make about what happens when I write a lesson for adults: more often than not, I have written the lesson that I need most from this passage. Sometimes, maybe, those lessons wind up being too simplistic because, while I have had faith in Jesus our savior for about 20 years now, I have a long way to go. 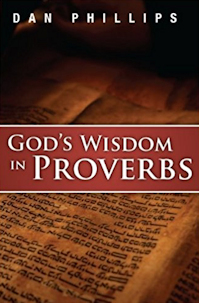 So when the elders at church let us know we’d be teaching through 1 Thes this fall, I have to admit that I was hoping to get inspired by the other guys’ lessons because while I have read the whole book once or twice, I feel like this book is not my favorite book of the Bible. I don’t dislike it, I don’t have theological objections to it, and I’m not worried that it is going to lead us astray. It is the word of God, after all. We all believe that All Scripture is inspired by God, breathed-out by Him, and profitable for teaching, for reproof, for correction, for training in righteousness so that we can be equipped for every good work. We believe it – that’s why we’re call Sunday School at our church "Equipping Hour," so that we can study God’s word, and get equipped. But this book is not like the Acts of the Apostles, or the Gospel of John, or Ephesians, or Romans. You know: when John MacArthur wrote his commentary for Romans, it turned into two 500-page volumes. When he wrote the commentary on this letter, it was so small that it also included the second letter to the Thessalonians – and together that volume is about 300 pages long. If we surveyed this class, or maybe the pastors we read and respect, I’ll bet this book doesn’t come up in the top half of the books of the Bible regarding its influence or its depth. If I had to guess, there are two reasons for this. The first one, which we haven’t gotten to in the text yet, is that this book talks about the end of all things in Jesus’ second coming. In that, because it says more than, “Christ has died, Christ is Risen, Christ will Come Again,” it will open up a lot of conjecture and questions which, it seems to me, the Bible ultimately doesn’t intend to answer. It will make us mindful of the intention God has to bring all things to a conclusion. He will make Christ King above all Kings and Lord above all Lords, and the judge of the living and the dead, but we tend to want a lot more than that from our eschatology. I can understand why a pastor doesn’t want to make a ministry out of threading the eye of that needle. The second reason this book doesn’t get a lot of attention is sort of ironic, given the first reason. It doesn’t get a lot of attention because it is a somewhat-mundane book. The word “justification” makes no appearances in this book. “Propitiation” is not mentioned. “Sacrifice” isn’t given any consideration. “Grace” is mentioned only as part of Paul’s greeting and farewell. God’s sovereignty and omniscience is not extolled. In some sense, it’s hard to see that Paul wrote this book at all since whatever it is he is talking about here makes no direct reference to the great and good theology he presents to us in other places – the places we enjoy more, the places where we feel like our roots as a “Reformed” people run deep and draw their best nourishment from. This is a commonplace book. But somehow, it winds up in the Bible as Scripture. That, it itself, ought to be a lesson to us when we consider Paul’s view of scripture. If we all believe that all Scripture is inspired by God, breathed-out by Him, and profitable for teaching, for reproof, for correction, for training in righteousness so that we can be equipped for every good work, then there is a use for a book like this one which winds up getting only a minor representation in our systematic theology. Let me stipulate emphatically that there are not merely good but excellent brothers and sisters who have an affectionate blind spot when it comes to Charismaticism. Let me further stipulate that I have no doubt whatsoever that, among those otherwise good-hearted, bright-brained, right-spirited spiritual sibs their intent is to glorify God. All of Scripture to the contrary notwithsthanding, they really believe that to "deny" the para-Biblical semi-continuance of pale imitations of some revelatory/attesting gifts is to hamper God, to downplay the spiritual, to handcuff the Holy One. But as always happens, when we don't yield to all of Scripture, our attempts to help God always end up injuring rather than enhancing His fame. Let's examine a short list of excuses "continuationists" make for God's failure to keep up what He used to do on the level at which He used to do it. He really is doing it, you Christians are just not looking in the right places. He really is doing it, He's just not doing it here in the First World. He really is doing it; see, I know this lady who was prayed-for and got better. He would really love to do it, but unbelief is stopping Him. You see the first in the "_____ Revival" folks. We gave you a Biblical perspective on one of them over four years ago, and some RPBs recently discovered it as if it were a new and startling thing. These are the poor souls who pour out to fill stadiums and such, desperately looking and hoping that God will show up and do there what He has "failed" to do in their local congregation. Biblical Christian: As Scripture indicates would happen, there is no evidence of apostolic revelatory and attesting gifts continuing past the first century. Continuationist: But they're happening right now in Florida. Biblical Christian: I watched the videos, and I went to Florida, and nothing of the sort was happening. Continuationist: Um... that's because you didn't go to Kaoma, in Zambia! Oh boy oh boy, it's going great guns over in Kaoma! No cameras, no objective observers, no first-hand evidence... but boy oh boy, holy fire from heaven! The third indicates someone who just hasn't heard a word that Biblical Christians who really-really believe in the sufficiency of Scripture have said. This is a sure-fire is a dead giveaway: every time some would-be continuationist says, "Ah, but I in contrast to you believe that God still heals," laying it down as some kind of trump-card, you know you're dealing with sheer, deliberate ignorance. There is no excuse for it, never has been. No Biblical Christian has ever denied that God heals. It's a red herring. The last is sheer desperation, and again shares the constant of moving the target away from falsifiability. It's a classic. I mean, who can deny it? None of us is perfect in faith. How many of the original tongue-speakers believed in speaking in tongues before they spoke in tongues? The answer, of course, is ZERO. Not one person at Pentecost expected to speak in tongues, asked to speak in tongues, believed that he would speak in tongues. There was zero faith in tongues. It was a sovereign move of God. And so was the distribution of real gifts (1 Cor. 12:4-7, 11). Which is why we simply do not see apostolic, Biblical instances of revelatory and attesting gifts. The Triune God is not distributing them. If He wanted to, He would, and they'd be in all His churches. And that isn't what we see. What we see instead is an elaborate fog-bank of dodges and excuses. Or we wouldn't even be having this discussion. 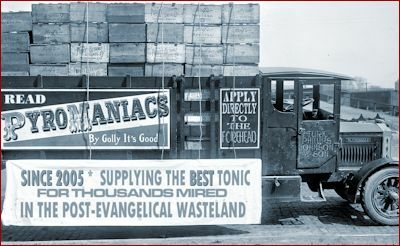 So: if it weren't for disbelief in God's own testimony, fueled by discontentment in Christ, and propped up by the support-system of good-hearted, well-meaning enablers willing to supply an endless chain of excuses and dodges and irrelevancies, "continuationism" would most often be mentioned in the same breath as "geocentrism." And in the same verb-tense. The PyroManiacs devote some space each weekend to highlights from the lifetime of works from the Prince of Preachers, Charles Haddon Spurgeon. The following excerpt is from the Metropolitan Tabernacle Pulpit, volume 8, sermon number 437, "A Sight Of Self." "It seems as if we must try fifty times before we will learn that simple truth,—'Without me ye can do nothing.'" "Our iniquities, like the wind, have taken us away." There is a sere-leaf hanging alone on that tree; all its companions have long ago fallen and are gone. Sere-leaf, thou wilt not long hold thy place, for thou dependest for thy connexion with the tree upon a very slender thread. Hark! the north-wind howls; now shall all the trees be clear. Where is the sere-leaf now? Hurried away to join the rotting heap upon the ground. So, when men find that their vows wither, yet they will still hang to their hopes, and to their moralities; but some strong temptation comes unexpectedly upon them just at the moment when their mind is susceptible of its power, and where are they? The devil catches their tinder dry and then strikes the spark. He knows how to time his temptations; he does not assail his victims when they are ready to resist him, but waylays them in the dark corner of some cut-throat lane, and smites the unguarded passenger with a deadly blow. The thief never lets you know when he intends to break in, for "if the good man of the house had known in what hour the thief would come, he would have watched, and would not have suffered his house to be broken up." The temptation comes like a howling north wind at an unexpected moment, and where is your man now? Unable to resist, carried away by the very vice which he thought he had renounced. "Our iniquities, like the wind, have taken us away." Every Christian man here knows this. He knows that the grace of God is stronger than all the winds of temptation, but he knows also that apart from that, he can no more resist sin than the chaff from the hand of the winnower can stand against the blast of a hurricane. He feels that if he be put into the furnace he can abide the fire through grace, but that apart from grace he is as tow before the flame or like wax before the fire. The well-instructed believer is very much afraid of himself; he dares not go into temptation, for he feels that a man who carries a bomb-shell within him ought to mind that he keeps away from the sparks, and that he who has a powder-magazine in his heart ought not to play with fire. He knows that in himself considered, apart from the indwelling of the Holy Spirit, he would as certainly go back to his old sins, and fall again into his past lusts, as do those who crucify the Lord afresh, and put him to an open shame. Ah, my hearer, if you do not know this, I am afraid you do not know yourself, and if you do not know yourself you do not know Christ. We must traverse the stripping-room before we can enter into the robing-room. Pull that bracelet from the man’s wrist; off with that crown; strip him of the purple robe; away with those sandals; tear up that cloak. Leave him naked. He is never fit to be clothed till he is naked. Let his foul skin be seen, for he cannot be washed till he can see his filth. Now set his feet upon the rock, but first of all pull his feet from the sand, for as long as they have any foot-hold anywhere else, they cannot stand upon the rock of ages safely and securely. I hope that very many of you do know that your iniquities, like the wind, will carry you away, unless you have the grace of God. Before I write this post, let me tell you a story. And before I tell you a story, let me tell you something else. A few weeks ago I wrote a dainty little post which did the political math for you regarding the upcoming Presidential election in the US, and that very day it was said that now, since Phil is gone, the blog has jumped the shark. Look: this has never been one of those Christian-in-name-only blogs, one of those alleged "GodBlogs," where the name of Jesus is a cuss word and not the name of a good and great savior. We have spent years talking about the theological issues which ought to inform our every-day lives. And most of our readers? They're not pastors. So if we can talk about everything from modesty to how to respond to immoral people who think you ought to call their immorality a virtue (excluding, of course, eschatology), Politics is going to come up. In that, I realize what makes this distasteful to many of you (the ones who aren't Mennonites, anyway)(Mennonites with Computers reading blogs being my favorite onion of irony ever) is that, at the end of the discussion, this looks like I'm telling you (and if you follow his other blogging and tweeting, DJP as well) that I will be voting for Mitt Romney for President. The reason for that is simple: whatever I want to call it to make myself feel better about it, of course that's what I'm doing. If he is not the next President of the United States, Barack Obama will be -- and it will be his second term, which means Mr. Obama has nothing to lose. So here's the thing: even if President Obama's no worse than he was in the last 4 years, that's plenty of reason not to give him a second chance. In the worst possible case, it is by a long shot better to choose the devil we know from Massachusetts than the Devil who needs to go back to Chicago. Or Honolulu. Or wherever it is he's going to build his Presidential Library. So I'll just say it: the several posts going up today all effectively tell you that I am voting for Mitt Romney for President. If you stop reading there, you deserve what befalls you -- including any missives which you have deleted from the comments. Dan and I have agreed that it's worth-while to address these questions once only, and get them out of the way. Some will have the comments open; some will not. Do with them what you will. I expect that the response to these post will cause me to close the comments early anyway, so get your licks in while you can. Now, the question, really, is, "WHY?" Why endorse a Mormon son of a Mormon who was not very conservative in Massachusetts and has not demonstrated very safely-right ideology in governing in the past rather than, for example, sit out the election or vote 3rd party? So Jack is going to vote for someone who cannot, mathematically, win the Presidential race because in his view, there is no difference between one candidate who wants all abortions legal and another who would make only 98% of all abortions illegal -- the 2% is the deal-breaker. Jack has a brother named Mack, and Mack agrees with the whole scheme here except who to vote for: he's voting for nobody. Now, here's the thing: the advocate for abortion -- the people who want it legal in all cases -- wants a better life for someone. (One example)(Another example) In their view, an abortion is a legitimate way to make sure someone has a better life. The problem for Jack and Mack is that they are using the exact same reasoning, and achieving the exact same end, as the pro-abortion advocate. The Pro-abortion advocate is perfectly satisfied if there are abortions as long as someone's choice or alleged economic freedom is protected; Jack and Mack are perfectly satisfied if there are abortions as long as their personal holiness is still intact. Jack and Mack protect their holiness by doing nothing -- or worse, doing something they know cannot change the outcome -- but that's fine as long as their understanding of their own holiness is protected and justified. Doing nothing and calling it a moral victory is cowardly. It may actually be evil. But if it is nothing else, it is certainly this: failing to do as much as possible to make a difference toward the improvement of those things which you can effect and can make better. Failing to show that much compassion and effort is morally lazy. See: if we imagine that the world is a place where there are no abortions right now, of course saying that 40,000 abortions a year should be considered as a policy is evil. But in the world we actually live in, where in our country there are about 1,200,000 abortions every year, one candidate/party is saying that we could eliminate 960,000 abortions by saying the only exceptions might be physical health and welfare of the mother (though formally: they actually exclude that option). It's moral malpractice to say that seeking to reduce the number of abortions by 80% is the same as saying 100% of all abortions are politically and morally OK. So the primary answer to the question, "Why write posts advocating to vote for Mitt Romney for President?" is this: "To avoid the obvious moral failing of doing nothing at all -- or participating in the moral equivalent of performance art -- to turn back an unacceptable outcome even if the alternative is only less-unacceptable." Some have actually reasoned a saner version of this argument: they say electing Romney to President assists Mormonism in becoming a mainstream religious option. The less-cogent versions of this range from claiming to shun idolaters to disbelief that a non-Christian can actually make reasonable judgments about justice and law. Let every person be subject to the governing authorities. For there is no authority except from God, and those that exist have been instituted by God. Therefore whoever resists the authorities resists what God has appointed, and those who resist will incur judgment. For rulers are not a terror to good conduct, but to bad. Would you have no fear of the one who is in authority? Then do what is good, and you will receive his approval, for he is God's servant for your good. But if you do wrong, be afraid, for he does not bear the sword in vain. For he is the servant of God, an avenger who carries out God's wrath on the wrongdoer. Therefore one must be in subjection, not only to avoid God's wrath but also for the sake of conscience. For because of this you also pay taxes, for the authorities are ministers of God, attending to this very thing. Pay to all what is owed to them: taxes to whom taxes are owed, revenue to whom revenue is owed, respect to whom respect is owed, honor to whom honor is owed. You know: the first thing this passage deals with is whether or not a non-Christian person is capable of being a sound ruler. Paul, writing about the Roman Government under Caesar, says, "yes." Yes: even Caesar and his functionaries were able to approve of good conduct and strike terror into those who have bad conduct. In Paul's mind, being an unbeliever does not disqualify anyone from being a political ruler. But it actually gets worse for those who are worrying about legitimizing any other theology or religion or way of life: in Paul's view, God has instituted the governments we find ourselves subject to, and he says they serve God. Let's stipulate right away that they may serve God poorly, but in this case this is not Paul's point at all. Paul's point is that the institution of government is actually God's ordinary means of looking out for justice and judgment -- and that one doesn't need to be a believer to make one into a decent magistrate. Paul says that explicitly about the Roman government -- which, let's face it, is barbaric by our standards. The kind of morality the average Roman would ascribe to would be absolutely wanton by our post-Christian standards. Yet somehow the Mormon view of morality is not going to work for an American magistrate? You know: it was the Mormons who were the major backers for the California initiative known as Prop 8 a few years ago. And the official teaching of Mormonism on the 10 commandments is easily summed up: "Obedience to these commandments paves the way for obedience to other gospel principles." That's pretty lousy Christian theology, but for a civil authority I think we would probably rather have someone who is a matter-of-fact works-righteousness guy than someone who thinks it ain't what you do but the way that you do it. If a Roman could be someone about whom Paul could say what he said in Rom 13, don't you think a Mormon would be a more-likely minister to do what is right in the face of justice? That deals with the question of whether or not an unbeliever is capable of being a sound ruler. What about the question of assisting a cult in becoming more mainstream? Listen: that sounds very high-minded and God-glorifying -- until we start to think about all the things we have to give up which, frankly, make things that are non-Christian into socially-acceptable practices. We'd have to give up the internet, for starters; we'd have to give up our iPhones. We'd have to give up books. We'd have to give up Capitalism and Democracy. Let's be as clear as possible here: maybe it wouldn't really be a loss to give up all the things which are not explicitly Christian for the sake of making sure we are not accidentally endorsing things that are false gospels. Maybe that is what we are actually called to do as Christian. That's what the Anabaptists believe, and that's not generally seen as a strike against them until we start talking about medicine or electricity. Maybe that is what we're actually called to live like. This, therefore, needs to be said: if that's what you mean by your objection, let's do that and not simply whip out this as a moral precept like a formidable doily to cover this part of our lives as Americans while we are, in every other way, utterly unconcerned about this matter. But if we can rightly, theologically justify all the other ways we cooperate with non-believers on the secular stage, ignoring the means of doing so now to maintain your alleged holiness is, at best, evidence which ought to be used to convict you of greater transgressions. That's two or three good theological reasons that this objection doesn't work out. There is one "America" reason this doesn't work out, a reason from political philosophy. Most of you reading this are baptists, and as baptists of some sort, you gladly, gratefully embrace the idea of freedom of religion. You may or may not remember the history and results of the Half-Way Covenant among the Puritans, but you know that one of the reasons it was a flop is because it confused the necessity of the church to be filled with believers with the necessity of the civil government to act justly toward men. The foundations of it didn't understand Rom 13 at all -- and it made church membership the necessary condition of civil rights (particularly voting). Because that attempt to maintain the unity of church and state failed (as the prime example, but not the only one), our political heritage inherited the right to freedom of religion -- that a man can practice his free expression of religion without the Government telling him what he must or must not believe, and that the Church cannot dictate whether or not a man is rightly seen as a citizen. Voting for any man does not affirm that you accept his religious expression, or his systematic theology: it affirms that you accept his right as a citizen to run for office. If you forget that, you might need a refresher course on basic American civics. 2. I can't vote for Romney because he's neither Reagan nor Ron Paul. This one comes up a lot in a lot of different forms. What's funny about this argument is that it depends on a kind of logic which the argumenter usually says he rejects. See: this person can't vote for Romney just because he's "Not Obama". Somehow, it's not enough that Mitt Romney is "not" anything like President Obama -- he needs to have some specific merits other than being "not the incumbent" to get this informed voter's vote. But this person could vote for Reagan -- if he were alive and not ravaged by demetia. This person could vote for Ron Paul -- if he were alive and not ravaged by dementia and he had ever won the nomination by a national political party. See: things like the actual qualifications of Mitt Romney get utterly lost on people consumed with their own fantasy politics team. In their world, they have drafted Reagan, Ron Paul, Barry Goldwater, Rushdooney, Captain America and Abe Lincoln to their fantasy league roster, and they are thereafter absorbed by debates which are the adult equivalent of, "who would win in a fight -- Spiderman or Daredevil?" The sad fact is that you can only vote for the people actually in the election. Let me rephrase that: you can write in anything you want, -- that's your legal right -- but when you are trying to take the moral high ground, you have to do more than look down your nose at people who are voting for the actual candidates rather than using the equivalent of Foxe's Book of Martyrs as the guideline for those who are sufficiently sanctified and glorified to take the oath of office. You also have to take into consideration the role of your vote. Voting in the primaries is not the same as voting for the actual office. As I have said before, when you are voting in primaries or run-offs, you should vote as extremely as you think is necessary or possible -- and you should vote for a person actually in the run-off. You should drive the candidate selection process to the point on the political spectrum which you stand on with this simple understanding: whoever is elected is going to fail to get everything he sets out to do, and you want the person in the office to fail as close as possible to your position. Using that exact same logic -- morally, mathematically, practically, intellectually -- casting a vote for someone who is not even a choice for even 30% of the precincts voting does not drive the process to your end of the spectrum: it enables the party/candidate with the plurality-winning minority to win. Last, but not least, let's remember that you are not voting for National Pastor: you are voting for the man who will set the executive priorities for the secular government. You cannot find a man qualified to be a pastor who is qualified for that job -- except Jesus, and he is neither running for office, nor is he in need of your vote to be King of Kings. If you make this choice as if you were conducting a pastoral search, you will not only be disappointed, I promise you: you will be deceived. 3. I can't vote for the RNC because of the way they treated Ron Paul delegates. 4. I can't vote for Romney because there's no difference between DNC and RNC. DNC: God and Israel were booed from the floor, and abortion was enshrined as a secular sacrament. RNC: Not one single delegate for Ron Paul was prohibited from voting for their candidate, but they were also not given the run of the place as they were a small minority of the delegates. Casting a vote which ensures the DNC will win this election seems to me to be allowing something which seems to be bigger than the internal bylaws of the RNC. 5. I can't vote for Romney because of my conscience. Ah! Conscience! We can't violate our conscience. It's what convicts us and approves of us (cf. Rom 2) so that we know right from wrong. You know: except for the people in Romans 1, right? Those people have a lousy conscience because of their idolatry, and they are given over to all manner of sin because of it. I can't peer into your conscience, OK? I can't unpack it's sanctification or its lack thereof. What I can do, however, is offer it at least one observation that it has not considered deeply enough: of the two men running for the office of President this year who have a mathematical chance of winning, one of them has not spent his political career and public life trading on fear and hatred; the other one has. If you think it's OK to simply allow the career politician to win this election -- which is what not voting against him will accomplish -- then by all means, sit it out. We'll see how your conscience feels in 4 years. I can't vote for Romney because he's a liar. I can't vote for Romney because he passed Romneycare in Massachusetts. I can't vote for Romney because he's not pro-Life. These are actually permutations of objections I did answer, so go back, wash, rinse, repeat. I wanted to close to make sure my intention here was very clear: I do not want you all to become mindless voters for red-state dominion. What I want is for you to not pretend this election is just another election. In the last 4 years, the Federal Government hasn't authored or passed into law a single budget -- it hasn't even tried to outline one. They haven't wasted any time on it. They haven't done anything to address the problems of debt or deficit. And they passed the largest tax increase on the country every invented -- which conveniently takes effect after this next election. If you want a second round of that kind of governance, then feel free to either allow it or to actually vote for it. If you realize that this is probably the last time we'll get a chance to do anything at all about it -- even if we can admit that will be done under a new administration will be too little, and perhaps too late -- then vote accordingly. Vote effectively. And Vote prayerfully. I may or may not offer something more Bibley later but, in the meanwhile, this is simply too hysterical not to share. Bad Lip Reading is a YouTube channel that takes songs and clips, and supplies dialogue and lyrics as if done by a criminally-bad lip-reader. The result is that the words fit the lips... and make absolutely no sense. Or they make a kind of Bizarro, psychotic sense of their own. The anonymous, Texas-based producer has done the presidential candidates a number of times. Sometimes a little bias seems to creep in, usually not. Sometimes the language is not such that I'd share here or at my blog, usually not. In this case, they turn their attention to the last presidential debate. While we may not all agree perfectly on all matters political, I think we can all agree that this is hysterically funny. You don't have to have seen the debate to enjoy it... though that helps. There it was again. Listening to one pastor interview another, "the call" came up. They were chuckling and sharing the story of how one of them felt, as a (young!) teenager and a brand-new convert, that he "had the call," meaning "the call" to preach. So he announced his call one week, and got up to preach the next. Period. No training, no apprenticeship, no evidence, no clue as to what it meant Biblically to preach (let alone be a pastor). He attributes this to a move of the Lord at that time in that location, as He reportedly grabbed up a lot of young men and "called" them to preach. The brothers clarified that in their culture, all one need to is announce that he has "the call," and he is to preach. Like, right away. Later, the brothers alluded to the fact that a pastor should understand "the call" in terms of that of Samuel, of Jeremiah, and of Amos. They call it an "unction" as in King James language, though I'm aware of no such verse relating specifically to the office of elder. I single this out only because I just heard it. I've heard or read elements of this conversation many times. Surely you too have heard similar, many times. Maybe you've said it. Maybe you believe it. The concept of a call to pastoral ministry or a call to preach is deeply ingrained, and deeply traditional. It is down there at the point of men wearing pants when they preach. You don't question it, you just do it. Actually, it's deeper, since it is believed to be a Divine necessity, a movement of the Holy Spirit. I've heard of "the call" looming as a critical facet of ordination committee meetings. The candidate has to relate his sense of calling. If he can't, his "call" is suspect at best. So I'll just ask one question. It should be a really obvious question. In fact, it should be the first question, shouldn't it? You regular readers know what the question is, already. What verse in the Bible talks about a pastor's "call"? The answer, of course, is no verse. Not one. They all are not pastors of Christian churches. I mean, here we are yet again, aren't we? The only "call" the Bible talks about in this sense is a revelational and verbal call to prophetic ministry. Then there is the Christian's call to salvation (1 Cor. 1:26) and to live a holy life (Eph. 4:1), which is found in so many words in Scripture. So a newcomer to this blog will, at this point, be fairly bursting with the question, "Then how does a man know whether he's ca... whether he's supposed to be a pastor?" Do you believe in the sufficiency of Scripture? Really? Then it should have an in-context, sufficient answer, shouldn't it? What does it say? When you closely study and reflect on passages that expressly address the issue of pastoral qualification (1 Tim. 3:1ff. ; Titus 1:6ff. ), what do you see? Can you discern anything that is better expressed in terms of a "call"? Do they overwhelm you with internal, mystical, privately-revelatory elements? Or are they not rather almost shocking in their relative matter-of-factness? Yet this "call" model has many baleful effects, real and potential. It makes "the call" essentially an internal, private, mystical, self-authenticating event. Anything that aligns a pastor with the reception of individual, private revelation (and at such a critical juncture) is a disjunction from his actual "call," which is to strive to embody certain objective standards (1 Tim. 3:1ff. ; Titus 1:6ff. ), to "preach the word" (2 Tim. 4:2), and to propound a publicly-accessible revelation (Titus 1:9, etc.). As seen in the story above, the semi-revelatory, individualistic, traditional "call" model can expressly divorce the preacher's office and duties from the control of Scripture. It starts everything out on the wrong foot, and has both pastor and congregation looking in the wrong direction. With such rich and specific revelation, we have to ask the question: how is it that this model and language survives (and thrives!) in Biblically-faithful associations? The PyroManiacs devote some space each weekend to highlights from the lifetime of works from the Prince of Preachers, Charles Haddon Spurgeon. The following excerpt is from A Good Start, Soli Deo Gloria, pages 284-85. "We do not know what is best for us." “All these things shall be added unto you,” and the measure of the addition shall be arranged by infallible wisdom. Temporal things shall come to you in such proportion as you would yourself desire them, if you were able to know all things, and to perform a judgment according to infinite wisdom. Would you not prefer a lot selected by the Lord to one chosen by yourself? Do you not joyfully sing with the Psalmist, “Thou shalt choose mine inheritance for me”? This excerpt is from this blog in 2009, after Phil spoke at the FIRE Conference. He introduces the topic of godly passions. here's no shortage of passion in the world todaybut for the most part it is utterly misplaced passion. Passion for all the wrong things. The wrong kind of passion. The one pervasive passion that most seems to dominate the world today (especially in the realm of politics and power) is anger. It's a destructive anger, too, usually driven by greed, a lust for power, or some other self-interest. The postmodern world is full of "the wrath of man[, which] worketh not the righteousness of God" (James 1:20). That's why terrorism is one of the biggest threats in the world today. The worldwide glut of anger also explains why (even in a democratic country like ours) the political process is so dysfunctional and divided. Despite all the talk we hear about peace and brotherhood, it often seems as if anger has become the main driving passion in the affairs of men and nations. That's a disturbing example of the wrong kind of passion. On the other hand, there's plenty of positive passion all around, but it seems like whatever good feelings there are in this world are mostly reserved for trivial thingssports, entertainment, recreation, and the pursuit of personal happiness. It's one of the supreme ironies of our culture that we're expected to be deliriously excited about worldly trifles and passing fads, but we're generally discouraged from taking serious things seriously. Above all, serious devotion to God is generally seen as a sign of alarming imbalance. An earnest worshiper of God may even be regarded by society as a deranged personespecially if he declares his faith. Yet you can be as fanatical as you like about your favorite sports team; you can be wholly obsessed with some celebrity or pop star you have never even met; or you can thoroughly immerse yourself in some mindless fantasy gameand no one bats an eye. Celebrity worship is the real religion of our culture. A handful of highly-revered dead celebrities have the very same status in our culture as the mythological Greek gods who filled the pantheon of Rome in the first century.